The human mind is the best piece of technology that was ever created. From this goo of gray matter emerge an endless train of thoughts and innovative ideas that have shaped the era of technology today. And thanks to the innovative minds at work tirelessly, we get to see tons of new gadgets every day. Amidst these new technologies that pop up every day, how do we determine the best gadgets, the ones that are pocket-friendly or the must have gadgets? Worry not, for we have rounded up the ultimate list of gadgets that when you see are bound to wonder, "How did I ever survive without these?" Also Read: Best Earphones in the World which will Give you a Wondrous Experience! Although it can be called a relatively new technology, the streaming technology that is, it has been around for ages now. The Google Chromecast falls into the category of cheap gadgets with which you can cast your favorite movies, TV shows, or even your mobile device's screen onto you TV. The Samsung Gear VR is a real game changer and literally a "game" "changer". This along with Google Daydream have been the cheapest VR headsets available. These two have changed the way we experience entertainment entirely, right from gaming to the world of movies, virtual tours, virtual interviews, live action demos and what not! The downside to it is that only Samsung phone are compatible with it! Soon all our lights will be controlled by smart switches in our phones and other digital devices. Not only does it change color, it can be used for so many other functions as per your whims like, it can wake you in the morning, turn off automatically when you leave the room, notify you of something like an email and much, much more! Photos have become more important than ever, and people still want hard copies of their memories and not just digital ones. And Polaroid Zip allows us to print out our pictures instantly, without the hassle of adding any ink either! With this piece of gadget, you can get a true assistant, like Jarvis. you can play music, get answers to anything from google, manage everyday tasks, control all the smart devices in your house and all of this just by using your voice! This one is a truly must have gadgets. This one falls under the umbrella of gadgets for men, although they are women's versions of the watch! I have personally used the Gear S2 and have been blown away by its features and functionality! And Gear S3 is supposedly an upgrade in size and has features like heart rate monitor, notifications, calling and answering, controlling your smart home and more! This one is surely a gamer's gadget. The ultimate driving experience from the comfort of your house. It has a racing wheel, two pedals, and a gear stick! Also, there is the general Xbox One gamepad and dual motor feedback to give you the in-world experience! Imagine playing your favorite video game or watching your favorite action movie in Dolby Surround 7.1 without being a prick to the others around you. That is what this headphone is going to give to you, the best sound quality out there for the price and comfort like no other! Imagine entering the magical world of Call of Duty or Far Cry where you get to be the character himself! With this little gadget that is possible by just plugging and playing on your existing Playstation 4! Although a bit pricey it is worth every rupee spent! In a short period of time, 3D printing is going to be the norm and everybody is going to own one at home. It is predicted that blueprints for every item in the market will be made and production will truly be in the hands of the customer. You can start early with this nifty printer, and you can get free blueprints for tons of items out there already! Streaming is the future of TV viewing. And Amazon has brought the Fire TV that gives you the functionality of Google Chromecast, and TV shows and movies from sites like Netflix, Hulu, Amazon Video and others. All you need is a subscription and you're done! While universal remotes have been around for quite some time now, a truly universal remote that took care of all the devices wasn't. And now with Logitech Harmony that reportedly controls 27,000 devices, it is a going to be "one remote to rule them all"
This little equipment will become a must have gadget! With over 4 million users already, you can track anything from your wallet to keys in seconds. Stick TrackR to anything you want to keep a track of and you will never have to worry about losing anything, ever! What portable speaker has given Bose a run for its money? The answer is JBL! With its new line of Ultimate Ears (UE) Roll series Jbl has been hitting all the right chords. Right from the sound quality, the reach of the sound and the speakers' waterproof abilities! Have you ever wanted to write something on paper and then instantly wanted it to get stored on your mobile/tablet or to the cloud? That is exactly what this smart notepad from Wacom does. Grab one before the prices go up! We're sure after seeing this list of gadgets there isn't anyone in the room who wouldn't want them. Let us know which gadget you would want to add to your wishlist in the comments below. 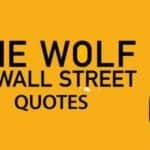 Next article 13 Wolf of Wall Street Quotes to get you Fired Up for Life!